Cut off all leaves and foliage that will be submerged in the water – this prevents the build-up of bacteria that can occur from the underwater decaying of leaves. 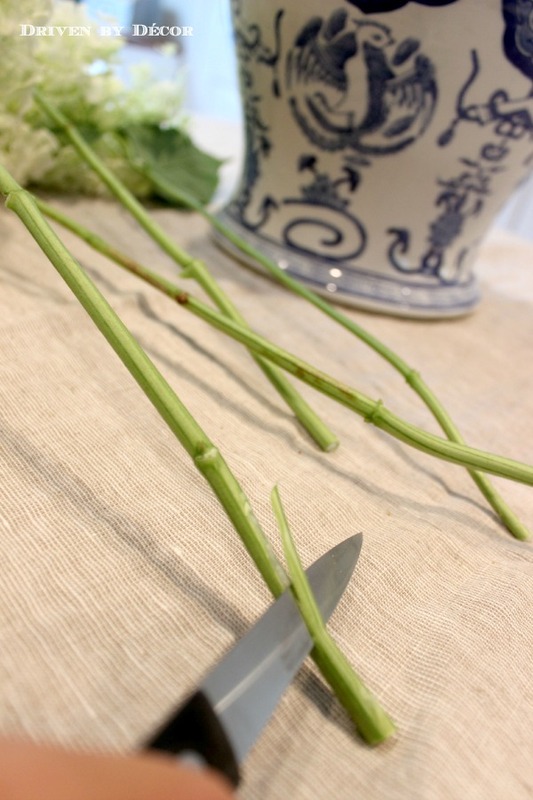 Give your stems a fresh cut immediately before you put them in your vase – snip at a 45 degree angle with a sharp knife or garden shears while running the stems under water. 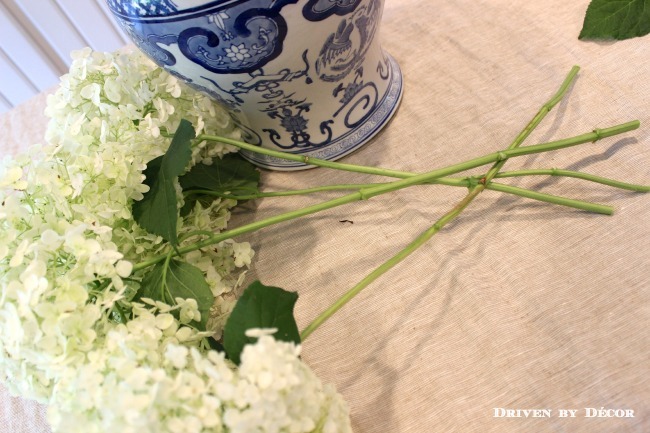 To prolong the life of hydrangeas, use a knife to shave the outer layer of the last 1-2 inches of stem, increasing the surface area from which the hydrangea gets water. 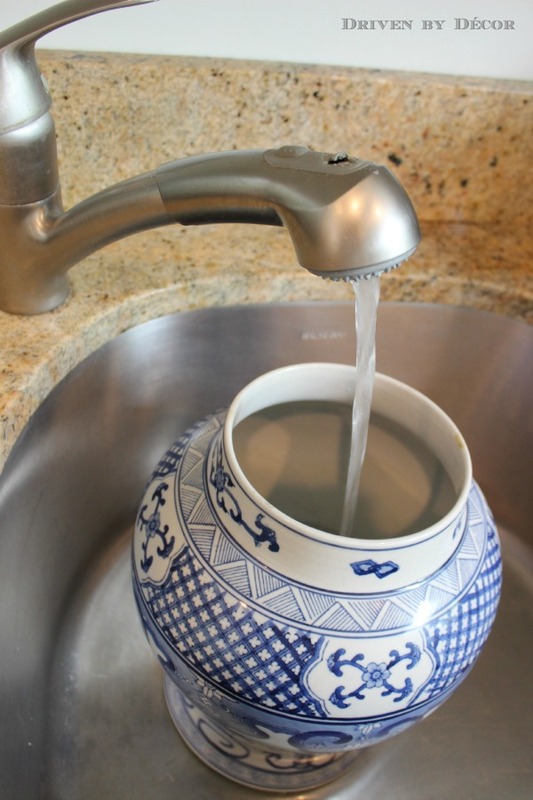 Be sure you’re starting with a vase that has been washed in hot soapy water and thoroughly rinsed to get rid of the bacteria that accumulated in the water of the previous arrangement. If your vase hasn’t been well cleaned, bacteria will build up more quickly and your flowers won’t last as long. 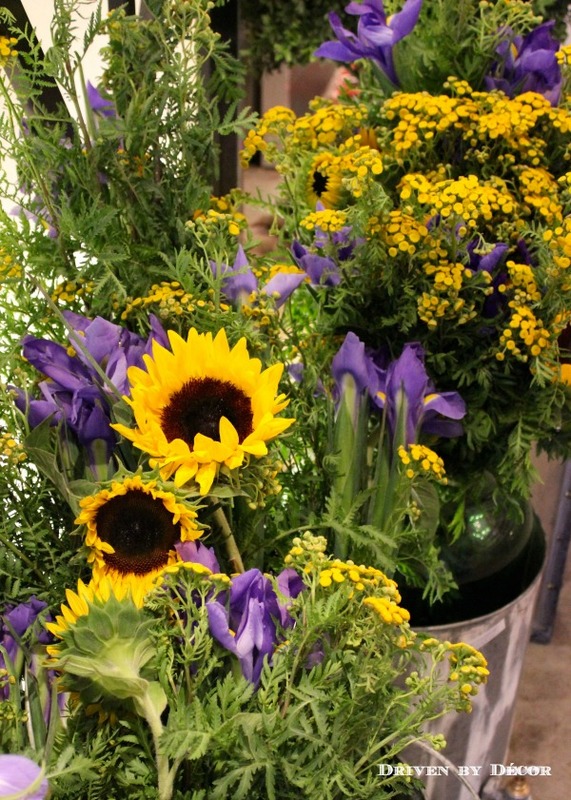 When creating a mixed bouquet, choose flowers with a variety of heights and textures. Start arranging your flowers with the largest blooms first, using the smaller flowers to fill in the gaps of your arrangement. To keep the your arrangement tight in the vase, wrap a clear elastic hair band around the stems a few inches below the base of the blooms. 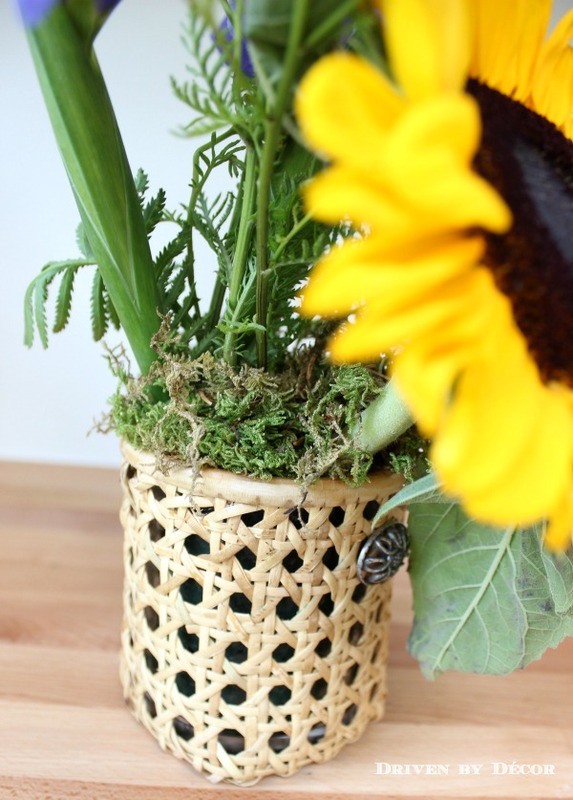 For ceramic and other solid vases, floral foam is great for keeping your flowers in place. But since it can look ugly peaking out the top, add some moss (moss from your backyard works!) to cover it and add texture to your arrangement. To help prevent bacteria and prolong the life of your flowers, add a packet of flower food or a few drops of bleach to the vase water. 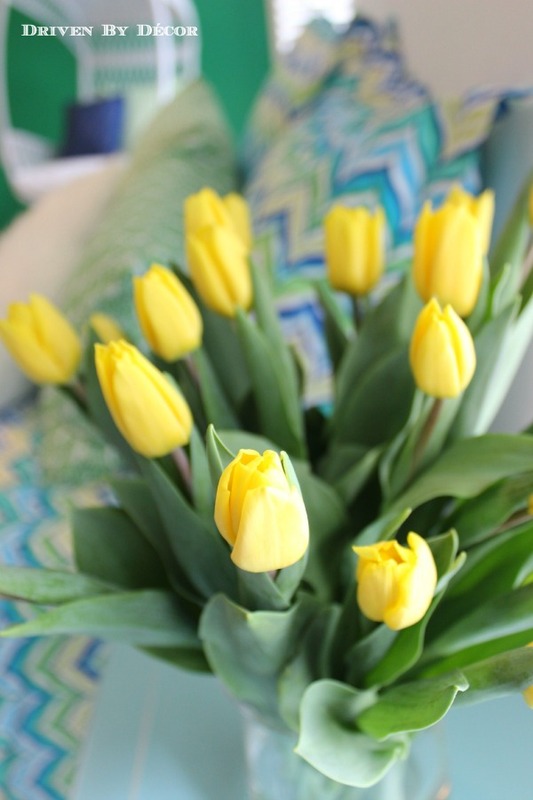 For bouquets of tulips that have started to droop, add a penny to the water and it will perk them back up (it really works!). 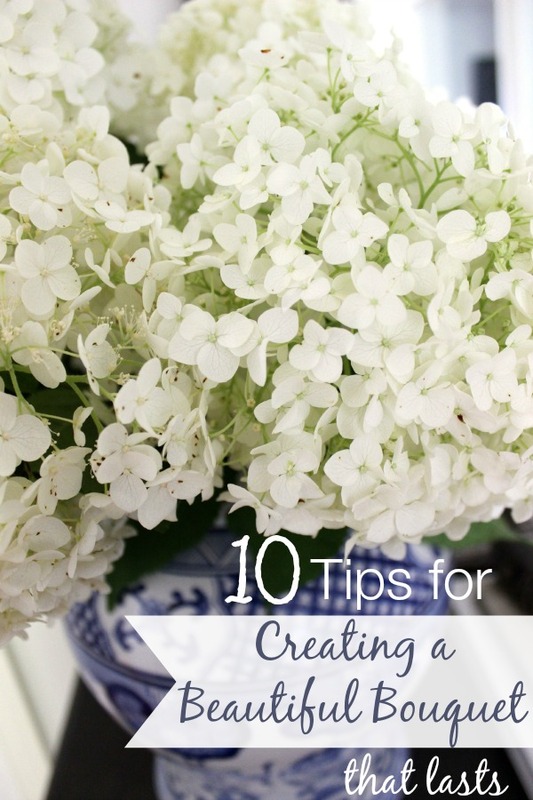 Every few days, remove the flowers and recut their stems along with changing the vase water. That wraps up my ten best tips – now it’s your turn. What tried and true tips do you have to share?